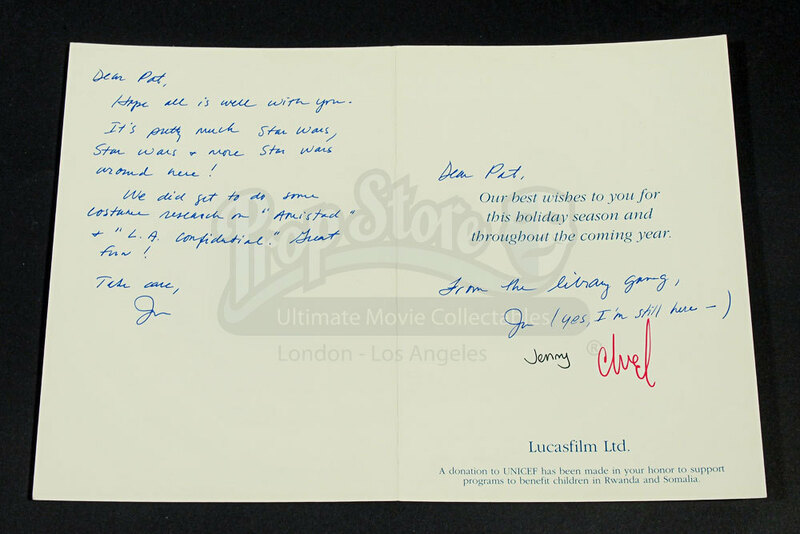 A Lucasfilm 1997 Christmas Card. 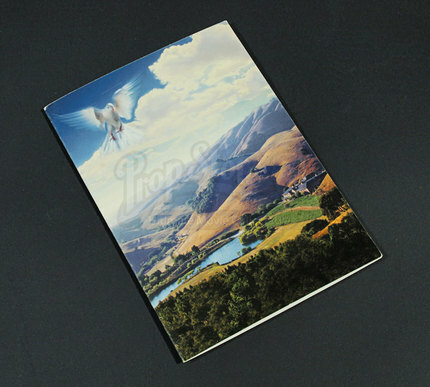 The festive greetings card features a white dove flying above a quaint picturesque landscape, with text inside that reads “Our best wishes to you for this holiday season and throughout the coming year.”, and is signed by a group of ladies who dubbed themselves Lucasfilm's “Library Gang”, along with a nice note from one of the longer serving members, addressed to “Pat”. It measures 13cm x 18cm (5” x 7”) and is in great condition.